Asbestos air monitoring tests for respirable asbestos fibres in the air to assist in assessing exposure and the effectiveness of control measures. 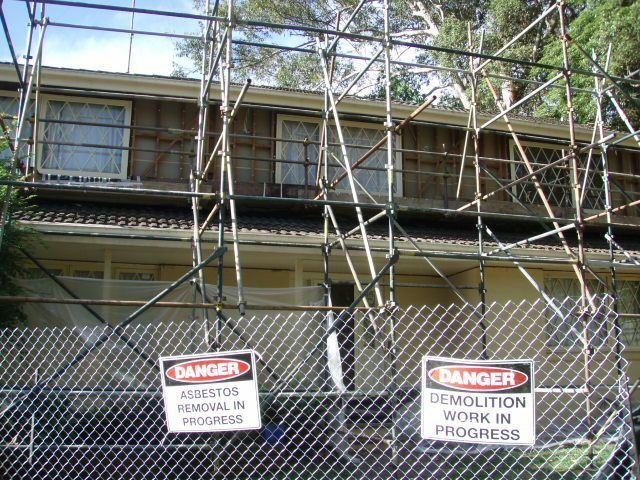 This is generally undertaken where asbestos containing products are in a poor condition, potentially liberating asbestos fibres into the air, or where asbestos containing materials are being removed. For the purposes of asbestos air monitoring, only respirable asbestos fibres (those fibres less than 3 μm wide, more than 5 μm long and with a length to width ratio of more than 3 to 1) are considered to be a risk. There is a presumption that all fibres observed under a phase contrast microscope which meets certain geometry are asbestos. Further testing of asbestos air monitoring may be required to confirm the chemical composition using transmission electron microscopy test equipment (TEM). When Should Asbestos Air Monitoring be conducted? The National Occupational Health and Safety Commission recommend that asbestos air monitoring should be performed whenever ACM are being removed, to ensure that control measures are effective when working on or removing asbestos containing materials. 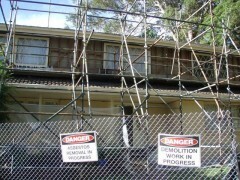 Airborne asbestos fibres are generated by the disintegration of asbestos containing materials. 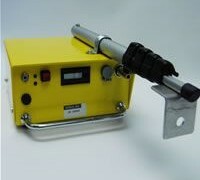 Asbestos air monitoring can also assist to provide a quantitative analysis of the risk. When the asbestos material is friable, that is can be crushed and turned into a powder or small particles, asbestos air monitoring is mandatory. Background asbestos air monitoring involves testing the air for respirable fibres prior to work which may disturb known asbestos materials. This may be conducted to determine if other fibres may be present in the air. Exposure asbestos air monitoring tests the air in a person’s breathing zone to to determine a person’s likely exposure to respirable asbestos fibres. Exposure monitoring and testing is designed to reliably estimate the person’s exposure, so that it may be compared with the national exposure standard. 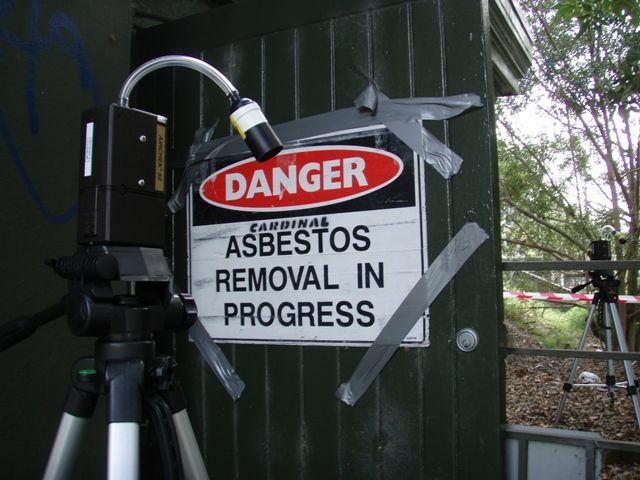 Control asbestos air monitoring involves testing the air to measure the level of respirable airborne asbestos fibres in an area during work on asbestos containing materials. Control monitoring is designed to test the effectiveness of control measures while work or removals is undertaken on asbestos containing materials. Clearance asbestos air monitoring tests the air to measure the level of airborne asbestos fibres in an area following work or removal of asbestos containing materials. An area is ‘cleared’ when the level of airborne asbestos fibres is measured as being below 0.01 fibres/mL. Safe Environments Pty Ltd carries out asbestos air monitoring and testing services in accordance with the document entitled Guidance Note on the Membrane Filter Method for Estimating Airborne Asbestos Fibres 2nd Edition [NOHSC: 3003 (2005)]. Our laboratory analysts participate in the National Asbestos Program NAP which is run by a division of NATA (National Association of Testing Authorities). 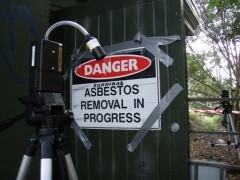 This program seeks to test and monitor the competance of asbestos fibre counting analysts.